Learn to Crochet Now has a FREE video Series Tutorial that you can watch with or without purchasing the Learn to Crochet Now! Book that is available to crochet additional projects. The free video tutorial includes videos on everything from holding your hook, holding your yarn, making a chain, How to count chains, working in the top loop of chains, single crochet, half double crochet, double crochet, treble crochet, weaving in ends and more. Instructions for Right-Handed and Left-Handed (just click below the video to change). You can watch the entire video tutorial series for free here. 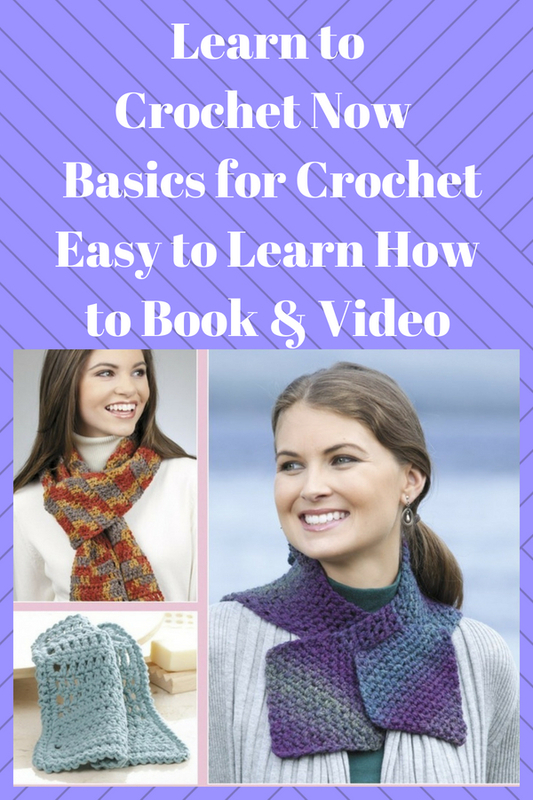 While the videos are extremely helpful the Learn To Crochet Now! Book provides you with the basics of crochet with beginner projects to crochet and step-by-step explanations, along with video demonstrations.